We have been known for building Motorsport Rollcages for many years, which was our main line of work when we begun and still is a big part of our business. Over the years our customer base has grown and we now build new cars and maintain race cars for several drivers and classes. We have been involved with Circuit cars, Stockcar, Drifting, Drag racing, autograss etc and also classic rally where we have restored Ford escorts back to original condition, then fabricated a rollcage to take part in events in the uk and abroad. We build chassis for all forms of motorsport as well as the road which can be seen on our chassis page as well as building four link live axle setups, steel and aluminium fabrication for road and race purposes. Aswell as making roll cages, we also do a lot of aluminium fabrication for motorsport, we have an in house aluminium fabrication shop for bespoke fuel tanks, swirl pots etc, many of which will be available to buy at our ever growing online shop please click on the link to the left to be taken there. 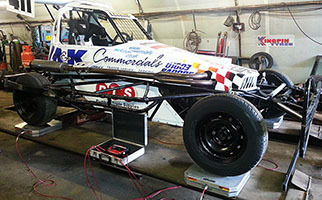 We ourselves are keen competitors in stockcar racing, pictures from builds and setups can be seen on our gallery page.